Taking elevated dog bowls to new heights. The first elevated dog bowl of its kind, the Brodie Bowl places your pet in an upright, ergonomic feeding position thanks to its patented, step-up design. Unlike most raised dog bowls, the Brodie Bowl works with gravity to help move food down the esophagus while minimizing neck and back strain. We've also noticed slower eating habits compared to traditional bowls on the ground. 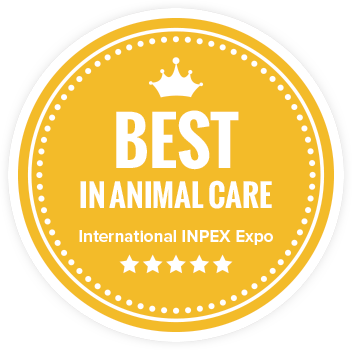 The Brodie Bowl is height-adjustable and practical for all four legged friends - including small dog & cats, geriatric dogs, and pets with medical conditions such as arthritis. Popular Breeds for the Small: French Bulldog, Boston Terrier & Yorkshire Terrier to name a few. 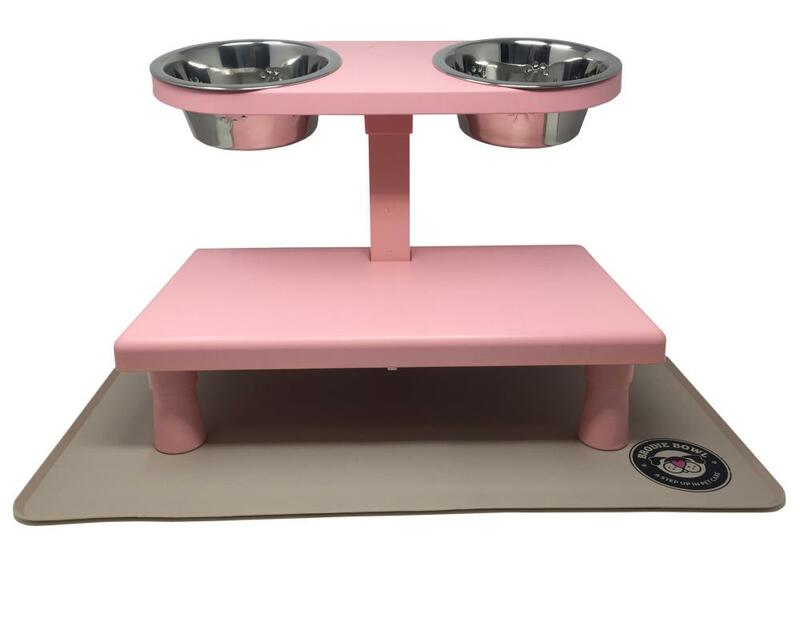 The tilted bowl platform is designed to reduce neck and back strain by placing your pet in an ergonomic, upright position with easier access to the food bowls. 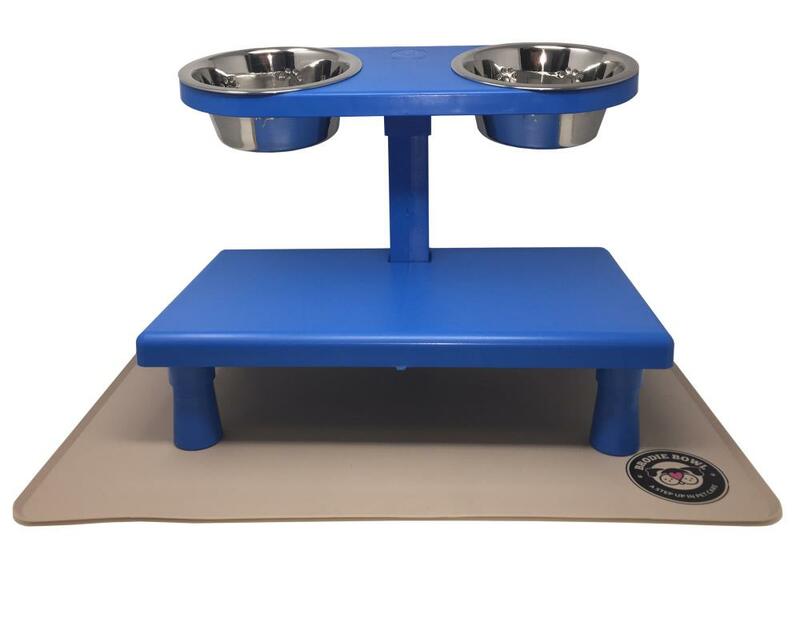 With the adjustable design we've seen a huge difference in the time (Much Slower) Our dogs are eating in. 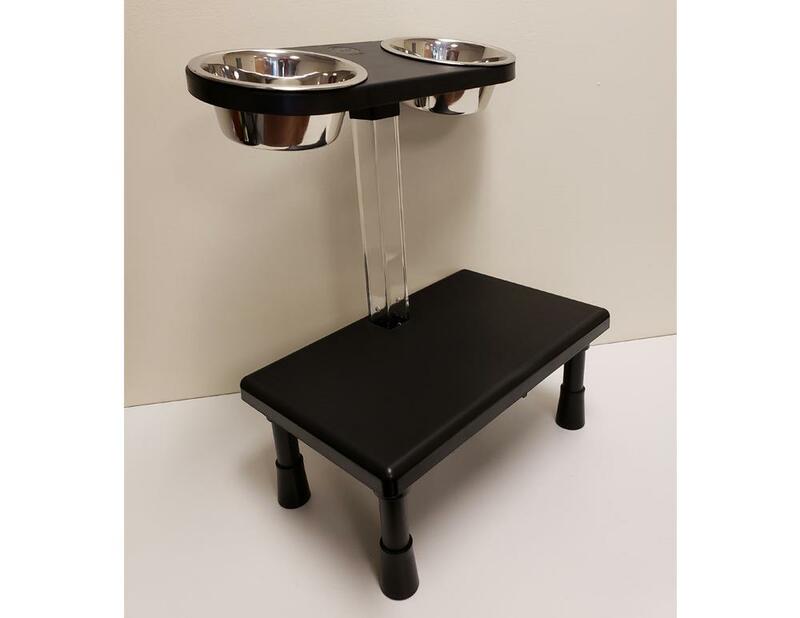 The step-up design perfectly aligns your pet with the tilted bowl platform, allowing gravity to move food freely down the esophagus and into digestion. 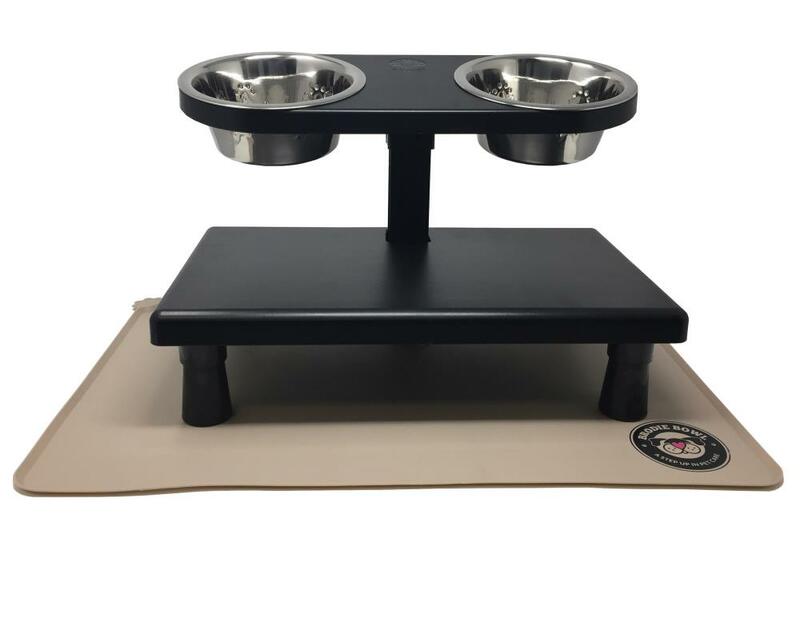 Each Brodie Bowl comes complete with our non-slip mat, designed for pet stability, minimal mess, and easy clean up. "I applaud the creators of the Brodie Bowl for thinking outside the box for their little Brodie after he was diagnosed with megaesophagus. A raised food bowl that can be adjusted based on the size and height of the pet is a wonderful idea, and it may even benefit pets with ailments aside from megaesophagus, like pets with digestive issues from fast eating tendencies or those with neck pain. Wishing you much success with your new bowl." "I bought the Brodie Bowl and the first thing I noticed was the great design and ease of assembly. One height adjustment bolt thats it. We ordered the black unit that will fit with any decor, but if you want, the high quality plastic is very paintable. In my view, the price is in line with the quality of the of the bowl,its solid, its MADE IN THE USA, and I won"t have to buy another one." 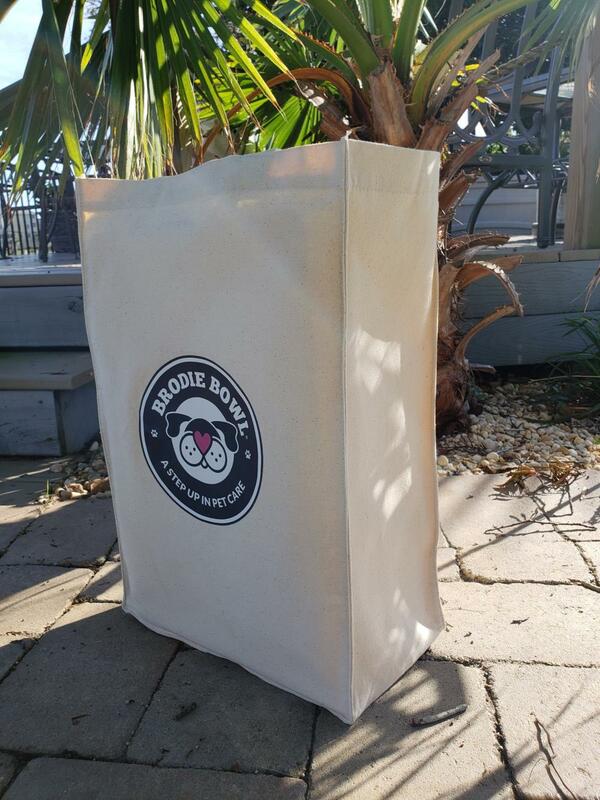 "Our mini poodle always had a problem with choking while eating his dry dog food out of his bowl on the floor. The Brodie Bowl immediately helped him eat without problems.  Awesome product!!" For the love of pups! We’re not scientists or doctors; just a couple of dog lovers who were faced with a sick pup. 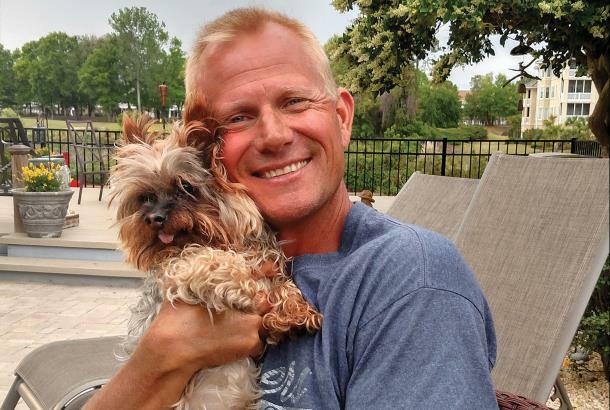 Our dog Brodie regularly regurgitated his food , and was eventually diagnosed with canine megaesophagus. We tried countless elevated dog bowls and eating strategies, but had no luck keeping his food down. Then, we considered what it might be like to eat on all fours, hunched over a bowl, inches from the ground. We thought: there must be a better way to feed our pets.